Located in Boise, Idaho, the Idaho Botanical Garden aims to increase their community’s quality of life by fostering a love of nature and intellectual curiosity. The gardens offer year-round botanical collections, entertainment, and educational programs for not only locals but visitors from all around the world. The Idaho Botanical Gardens received its first Board of Directors in 1984 through the efforts made by Botanist Christopher Davidson. The board hoped that through the development of an aesthetic landscape filled with educational gardens and elaborate plant collections, they could foster an appreciation of gardening, horticulture, botany, and conservation. The Garden comprises a total of 33 acres, 15 of which are still under cultivation. It is located on land owned by the State of Idaho and was once a part of the Idaho State Penitentiary. The area is now known as Boise’s Old Penitentiary Historic District. The rolling foothills located behind the Gardens are used for hiking and environmental education. Gardens: The Idaho Botanical Garden contains numerous specialty gardens each with unique focus and displays. There are also a variety of sculptures, art, and architecture scattered throughout the display gardens. Water Conservation Landscape: This garden covers one acre of previously undeveloped and weed infested flat ground along Old Penitentiary Road. It now serves as a demonstration garden which features water conserving plants and helps control obnoxious weeds and unfriendly exotic plants. To top it all off, the plants are not only functional but attractive as well. Vegetable Garden: This garden is seasonal as well as educational. It provides edible summer vegetables, annual flowers, and even the fall harvest pumpkin patch. Visitors can learn how to grow and maintain their own vegetable garden as well as eliminate waste and conserve natural resources. Summer Succulent Garden: This garden is located on the old concrete foundation of the Old Penitentiary’s poultry barn. The garden is seasonal but differs every summer so visitors will always have new succulents and cacti to look forward to. Outlaw Field & Labyrinth: During the 1930’s, an all inmate baseball team was formed at the old penitentiary called “The Outlaws”. This field is now used primarily for concerts and special events. The labyrinth was added in 2001 and is modeled after the labyrinth at the Chartres Cathedral in France. Meditation Garden: This garden lives up to it name by providing visitors with shady paths along flowing waters and beautiful blooming flowers. Visitors can take a break from the hot summer sun in this cool (sometimes up to 20 degrees cooler than other gardens in the collection) garden. This garden also has an inviting canopy area for summer picnics. Lewis & Clark Native Plant Garden: Opened in May 2006, this is one of the newer gardens at the Idaho Botanical Garden. It was built to commemorate the bicentennial of the Lewis & Clark Expedition between Great Falls, Montana and The Dalles, Oregon. This garden currently displays 125 of the 145 diverse species of plants that were collected during the original expedition, but the Garden hopes to eventually display all 145. Jane Elk Oppenheimer Heirloom Rose Garden: This garden features a variety of roses in an old-fashioned and picturesque atmosphere. 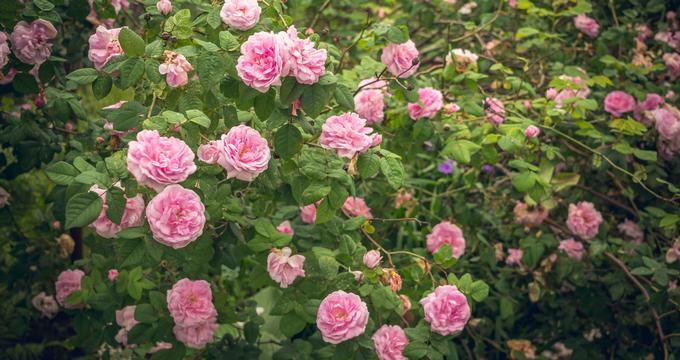 Rare antique roses bred before 1920 are on display in this garden alongside modern ones and other popular perennials. Idaho Native Plant Garden: This garden has recently undergone a huge overhaul to enhance visitor experience. It displays all 42 Idaho native plant species with all new signage and beautiful sculptures. Children’s Adventure Garden: Younger visitors will truly enjoy all that this garden has to offer: a carnivorous plant display, tree houses, a wildlife area, a playful fountain, a musical trail, and even a kitchen garden where young chefs are born. There are many more interactive aspects of this garden still to come. Muriel & Diana Kirk English Garden: Designed by renowned English landscape architect, John Brookes, this garden evokes the light and relaxed country garden feeling of time past. Stone archways dripping with colorful blooming vines welcome visitors onto its brick pathways. One focal point of this garden is the Princess Diana Fountain, dedicated in 1998 in her memory. Firewise Garden: This garden is meant to educate homeowners on what plants can reduce the risk of wildfire damage while still providing an aesthetic look to their home and garden. Herb Garden: This garden is bursting is flavor and pleasant fragrances. It features plants used for centuries in medicines, cosmetics, decoration, and cooking. It is seasonal and is best visited from June through the start of Winter. The Idaho Botanical Gardens focuses on conversation education. They have a variety of programs to educated visitors on how to do their part. The Garden and its staff also works to control invasive plants, restore natural growth of native species and replenish the Earth’s natural resources. For a more detailed list of events and educational programs, visit the Idaho Botanical Garden website.